When you move this card to a Problem, ready one of your characters there. 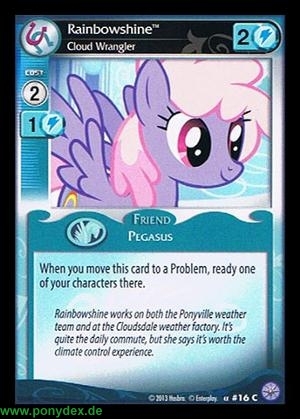 ainbowshine works on both the Ponyville weather team and at the Cloudsdale weather factory. It's quite the daily commute, but she says it's worth the climate control experience.